Click for more information about San Benito C.I.S.D. 's Book Drive! Landrum Elementary Celebrates 100 Days of School! Click for more! Landrum K-1 Chess Team placed 11th at the Regional Chess Tournament. Way to go Mustangs! 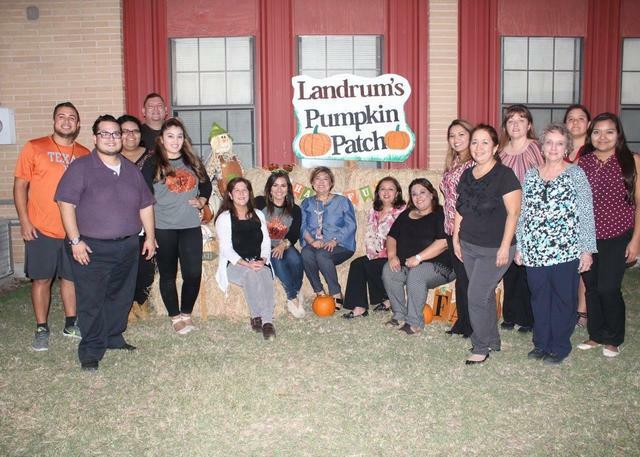 Landrum Elementary spreads the Holiday Spirit! Landrum Girls on the Run 5K Event was a success! Congrats ladies! Landrum Cheerleaders & Folklorico perform at the After School 2017 Fall Festival! Watch the video here and don't forget to like our Facebook page! Click here to watch our True Blue Event Slideshow! Grandparent's Day 2017! Click here to view more photos! "You can learn something new everyday if you listen..."
"The Clear Choice for Education"
Feb. 26th - Mar. 3rd is Texas Public Schools Week! Monday - OPEN HOUSE! 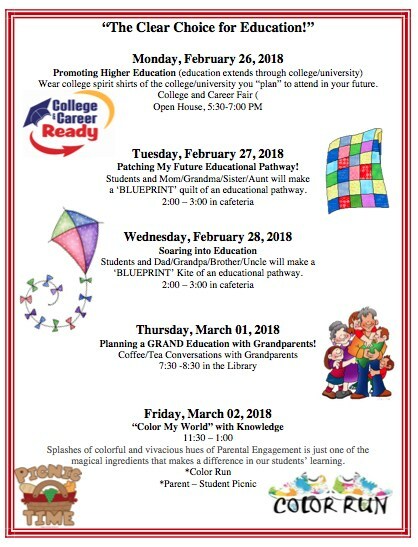 College & Career Fair 5:30 p.m. - 7:30 p.m. Tuesday - Quilt with Mom/Grandma/Aunt/Sister 2:00 p.m. - 3:00 p.m. Wednesday - Build a Kite with Dad/Grandpa/Brother/Uncle 2:00 p.m. - 3:00 p.m. Thursday - Coffee/Tea with Grandparents 7:30 a.m. - 8:30 a.m. Friday - "Color Run" and Parent/Student Picnic 11:30 a.m. - 1:00 p.m. 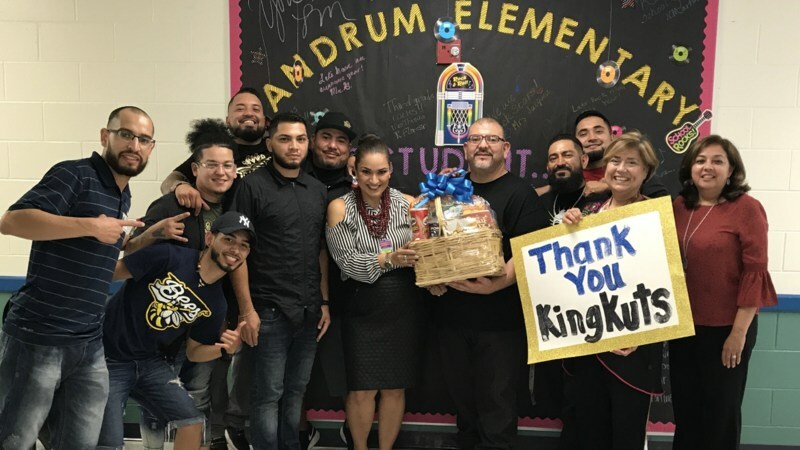 Counselor Appreciation Week! Feb. 5th - 9th, 2018. 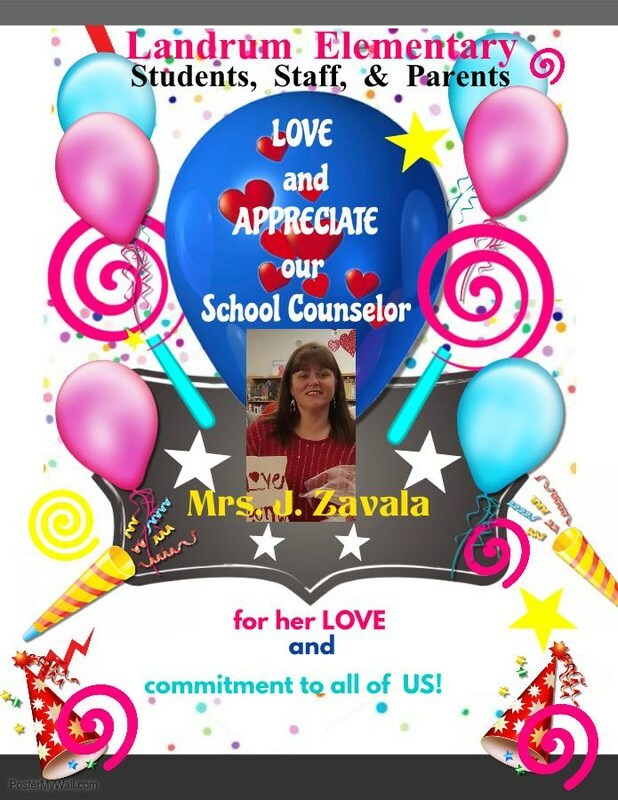 We appreciate our Counselor, Ms. Jennifer Hendry-Zavala. Thank you for ALL that you do! 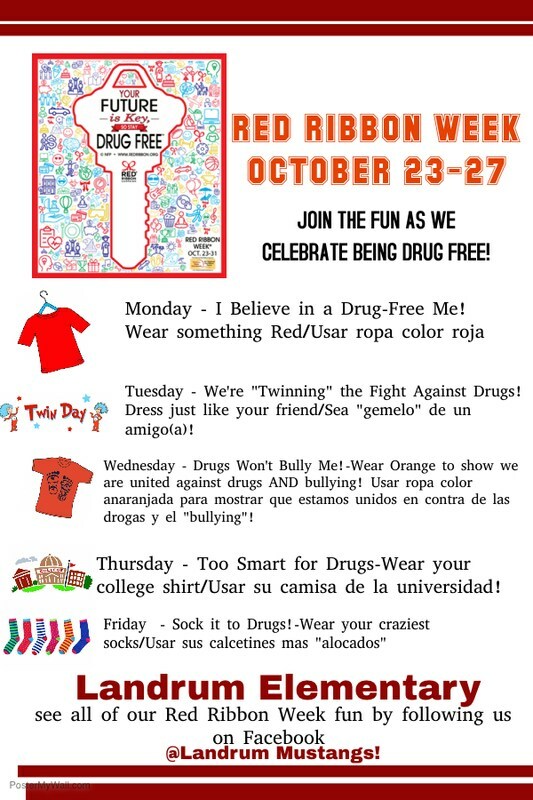 Join the fun as we celebrate being drug free! Read the Full Story for more information!